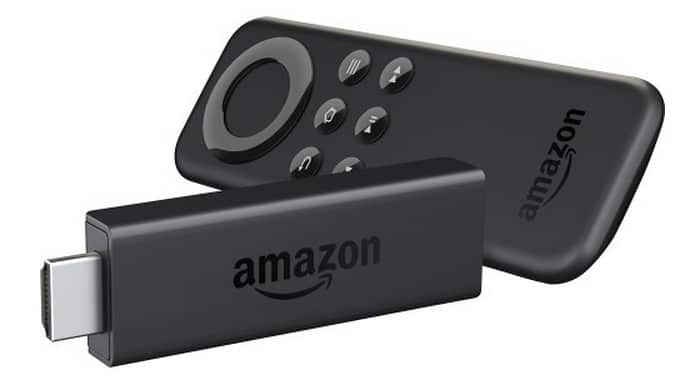 Best Buy Deal of the Day: Amazon Fire TV Stick only $24.99, FREE Shipping Eligible! Today only at BestBuy.com, you can get a cute Amazon Fire TV Stick for just $24.99 (reg $39.99)! If you have been considering getting rid of cable, or just want more options for TV, be sure to check this out! Dedicated remote and app for easy use – With the Amazon Fire TV Remote that comes in the box or the free app on your Android device (iOS coming soon), you have all the controls you need to easily search, navigate and play games. Great for gaming, too – Play favorite titles like Flappy Birds Family, Toy Story: Smash It!, Monsters University and more great games. Instant streaming with ASAP = No more waiting for your Amazon movies and shows to buffer — ASAP learns what movies and shows you like so they start instantly. Connect your small screen to your big screen – Fire TV Stick lets you fling your favorite apps to your TV to free up your small screen for other uses. Or mirror your phone or tablet to your TV. Your partner in Prime – Enjoy unlimited access to more than 40,000 movies and TV episodes with Prime Instant Video, including The HBO Collection, and original shows like Transparent and Alpha House, plus new Prime Music. Massive selection – Over 250,000 TV episodes and movies, millions of songs,and hundreds of games. Voice search that actually works – Simply say what you want to watch and start enjoying in seconds with the free Fire TV app. Powerful performance – Dual-core processor with 1GB internal memory. These prices are valid today only, so head over to BestBuy.com and check it out this and the other great deals happening today only! I drove 60 miles through some horrendous traffic to my closest Best Buy based on your post of it being on sale today at Best buy as a Deal of the Day. Without a date on your post they claimed it was old and not a current sale and refused to honor the price of 24.99 as posted on your page.